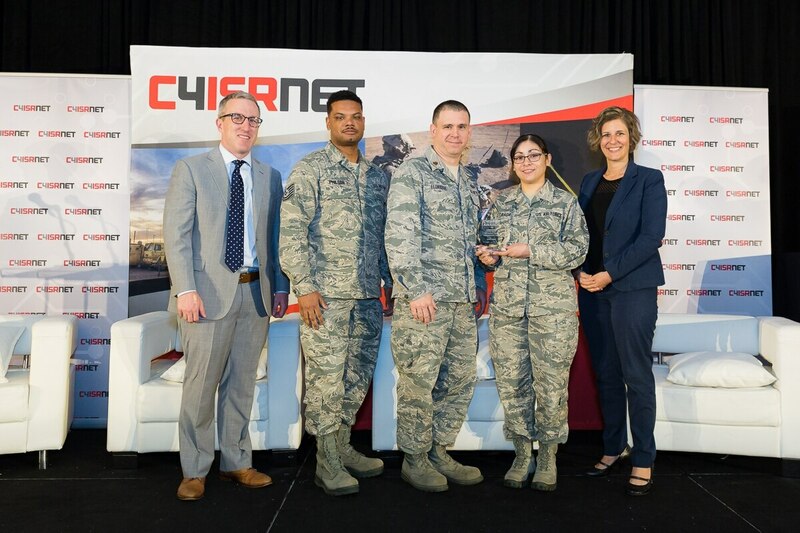 Members of the Global Force Management Team, winner of the the C4ISRNET unmanned award, accepting at the 17th annual C4ISRNET conference. The annual C4ISRNET awards are presented to leaders in defensive technological development and innovation. 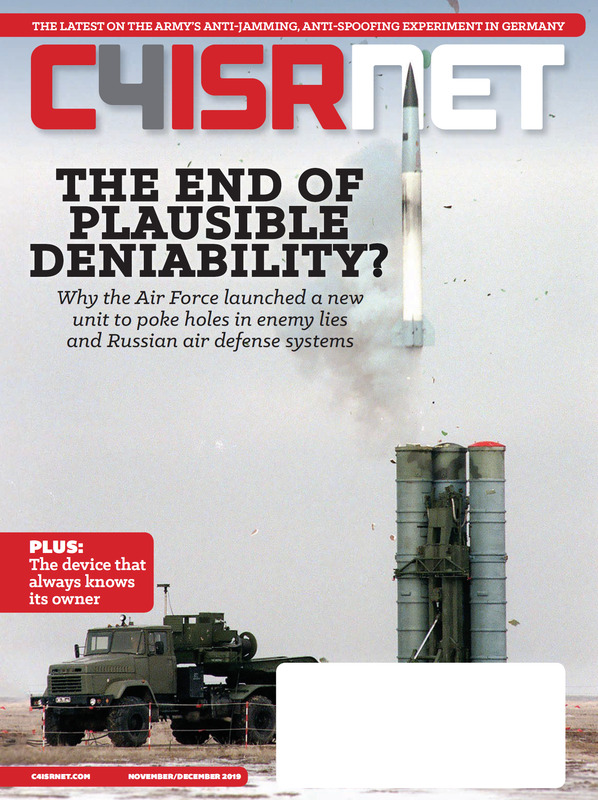 This year, the awards were presented during the 17th annual C4ISRNET conference on May 10. The C4ISRNET Unmanned award was presented to The Global Force Management team. Team members included Maj. George Eldridge, Senior Master Sgt. Elizabeth Rooney, Senior Master Sgt. Rashae Starks, Master Sgt. Melanie Estrada, and Technical Sgt. Corey Philson. Other award categories included cyber, GEOINT, software management, and unmanned.